China is Iran's biggest oil costumer, and imported 16.01 million tons of Iranian oil during first nine months of the current year, amounting to 428,160 barrels per day, for a value of about $12.3 billion so far this year. Beijing makes Iranian oil payments through its national currency, the yuan, and deposits it in a local bank account, which is accessible only for purchasing permitted commodities inside China. 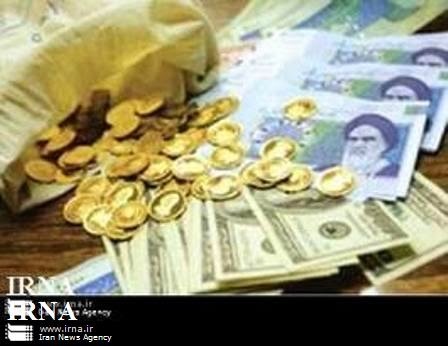 During 2007-mid 2011, Iran also reportedly transferred about $25 billion of assets from European banks to China to prevent it from being frozen and this amount is still deposited in Chinese banks. It is not believed that Nobakht’s report of $22 billion worth of blocked assets includes the amounts transferred to China. Quick look at the numbers and one can easily understand why the West felt the need to curb Iran's progression... Dat black gold!!! China and Russia are both profiting from Iran's misery.The sooner we realize this the better for our country. well let us go and shout death to usa, death to this and that. a nation of 2500 years history has been reduced to this sorry state because of adhering to some barbaric imported religion and supporting those who have nothing in common with us bar this religion. I agree.Seems like all that death has bounced back at us. yes, the " Iranian regime was extremly wealthy before the sanctions ". not the people of Iran, but the regime. just as the British regime was once wealthy from the oil of Iran, while the people of Iran did not..... so the regime erected by Khomeini grew fat and wealthy battening on the money brought by the oil that belonged to the people. and quite a bit of that wealth was sent to Lebanon and to Syria...... and the subsides for the Iranian people was reduced.